Support Products - Priority Dispatch Corp. Support Products - Priority Dispatch Corp. Priority Dispatch Corp.’s (PDC) Support Products supplement its flagship software products, ProQA and AQUA. Whether it’s providing on-the-go case determinant codes to first responders in the form of the MobileFRG app, or providing backup cardsets and Quality Assurance (QA) Guides, PDC’s Support Products have you covered when it comes to emergency dispatch communications. 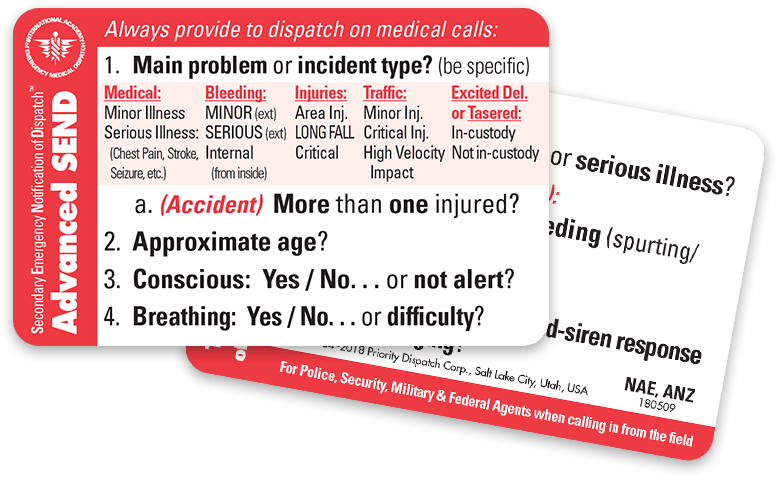 Designed as a backup resource for agencies for instances when ProQA calltaking software may be temporarily unavailable, Cardsets allow communication centers to seamlessly continue to take and dispatch emergency calls. 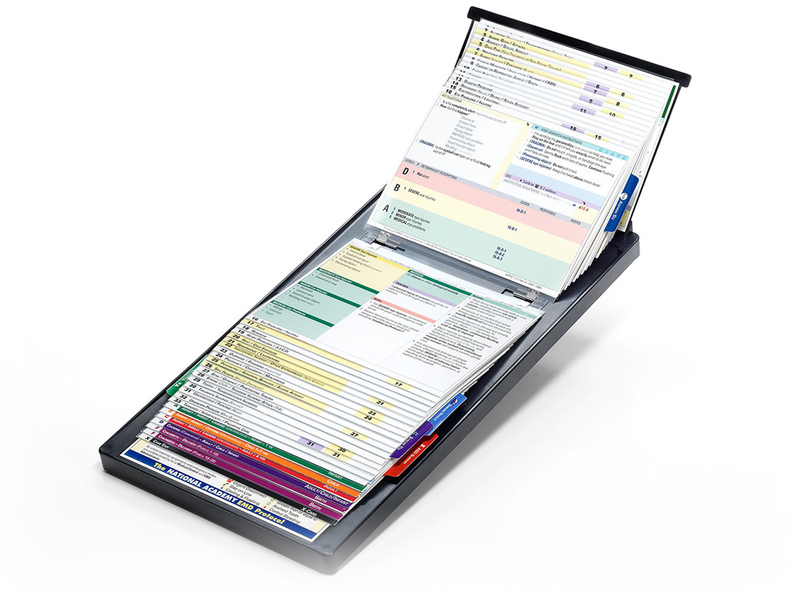 The 18-inch by 10-inch flip file format puts the Medical, Fire, and Police protocols at the fingertips of dispatchers from Case Entry and Key Questioning on through Pre-Arrival and Post Dispatch Instruction. 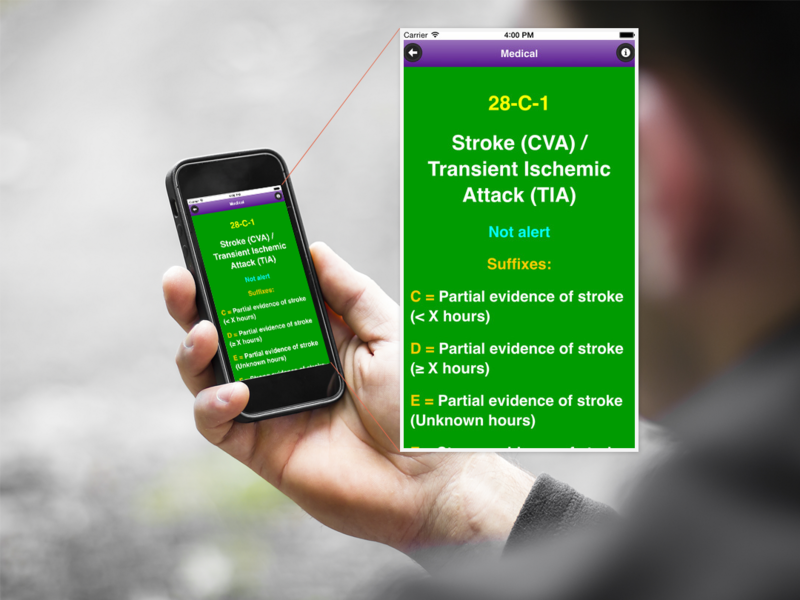 The Mobile Field Responder Guide (MobileFRG) puts code response interpretation into the palm of your hand/smartphone. Available to field responders through their licensed agencies for both the iPhone through the Apple Store and for Android phones at Google Play. MobileFRG assists responders by interpreting the dispatch code into a full text description. For example, with the MPDS, 10-D-1 transmitted over the radio from the dispatcher to the responder becomes ”Chest Pain, DELTA-level, Not alert” through the MobileFRG. 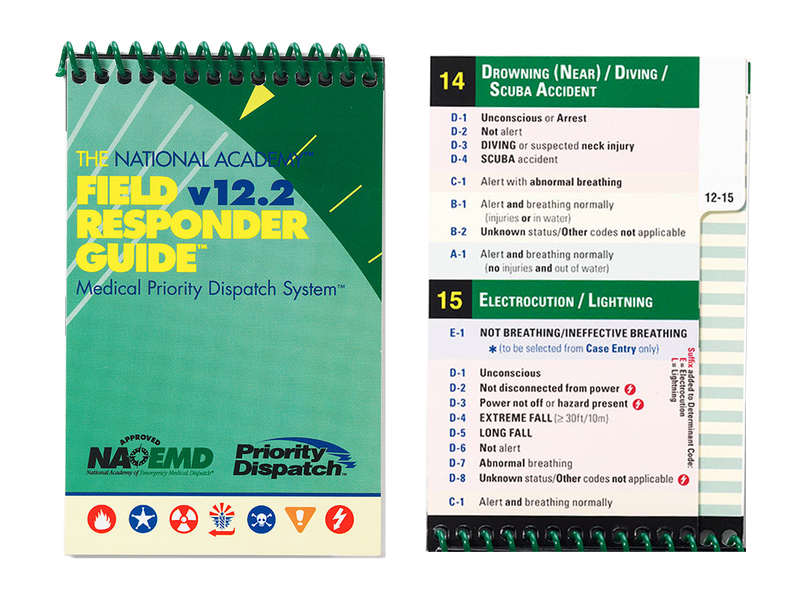 The printed Field Responder Guide provides Determinant Code interpretation reference for field use during response and for completing incident reports. This spiral-bound 5-inch by 3-inch flipbook has a water/tear-proof cover and convenient incident tabs. 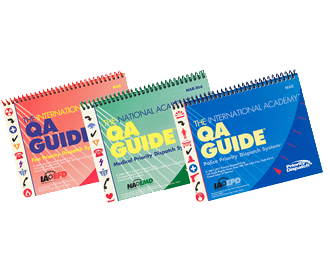 The QA Guide,7 ½-inches by 5 ¾-inches in size, is a spiral bound, handheld, full-color version of the cardset that provides communication supervisors, managers, and QA officers with easy access to the protocols. 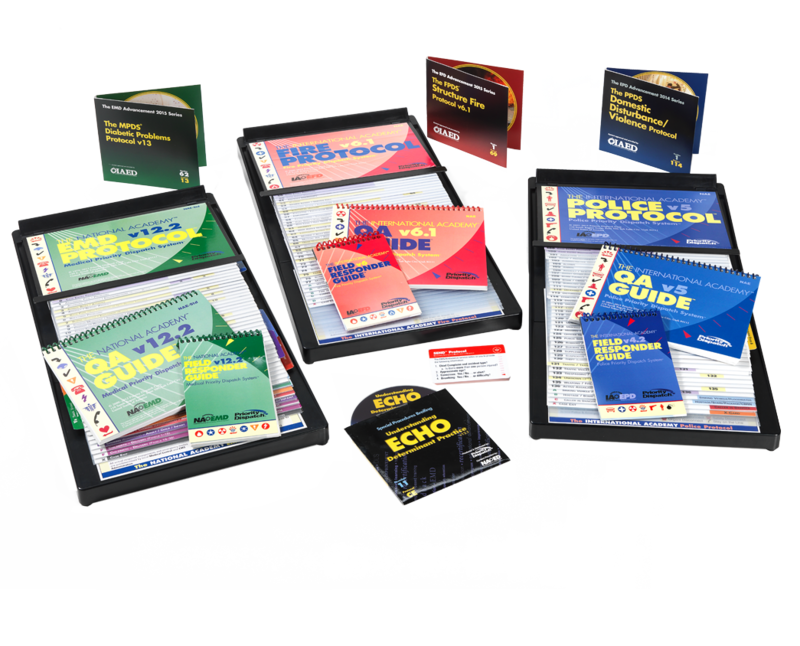 Essential for case review and dispatch performance evaluation, it is the perfect companion for AQUA case review software. This new evolution of the SEND process is now in ProQA® and allows dispatchers to more effectively handle calls for assistance from police officers, sheriff’s offices, security, federal agents, highway patrol, or military police. “Principles of Emergency Medical Dispatch,” by Dr. Jeff J. Clawson, Kate Boyd Dernocoeur, and Cynthia Murray, defines the practice of safe and effective emergency dispatch in today’s dispatch environment. 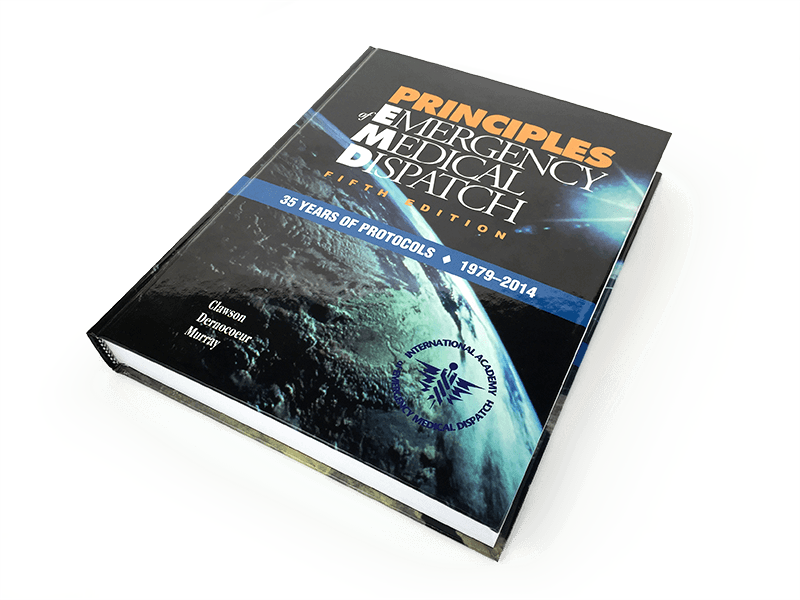 With 27 years of experience since the first edition was published, the fifth edition Medical Priority Dispatch System (MPDS v13.0) addresses the increasing complexity of modern dispatch by providing more information, a broader, more global perspective, and increased focus on total quality management.